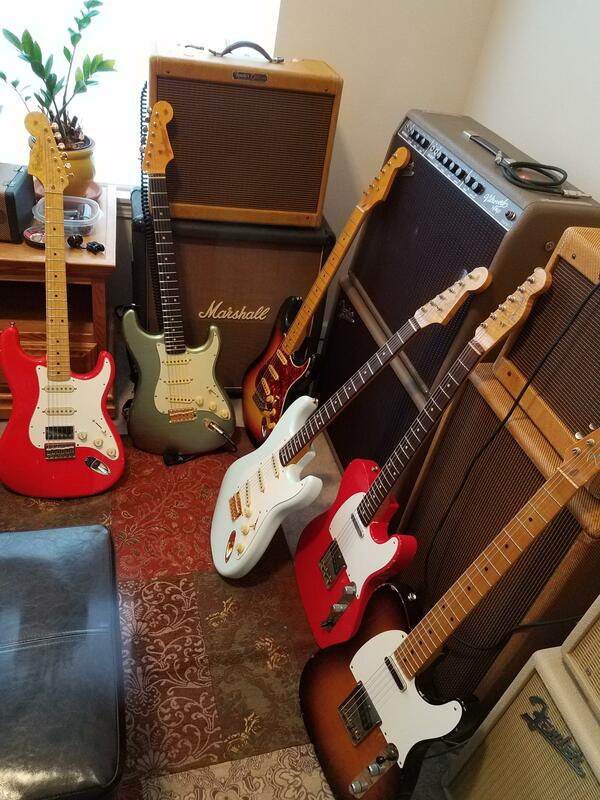 Discussion in 'Guitars in General' started by Jason Carter, Apr 15, 2019 at 12:55 PM. I have a bunch of partscasters & all sorts of $&@+. Mine is Warmoth, with a wenge/ebony/stainless steel neck and swamp ash/maple body. The wiring is something I came up with where every position is hum-cancelling. rauchman, stanshall, Agramal and 5 others like this. I have 4 and one in the works but don't use parts from that particular company. I would figure most everyone here has one at least but if they play it or not is unknown ? rauchman, macatt, stanshall and 4 others like this. I only play partscasters. I can't deal with modern skinny necks. Roe, mule train, Bob Pollock and 1 other person like this. 82 x 57 Fullerton Reissue Body. 7-13-82.. Body had at 1 time been modded for a Kahler. Neck is a 1 inch Fatback x 1 5/8 nut, 6125 frets, and 12 Radius. NO Rolled Edges. Illitch Noise Reduction Backplate. They didn't have the guard then. 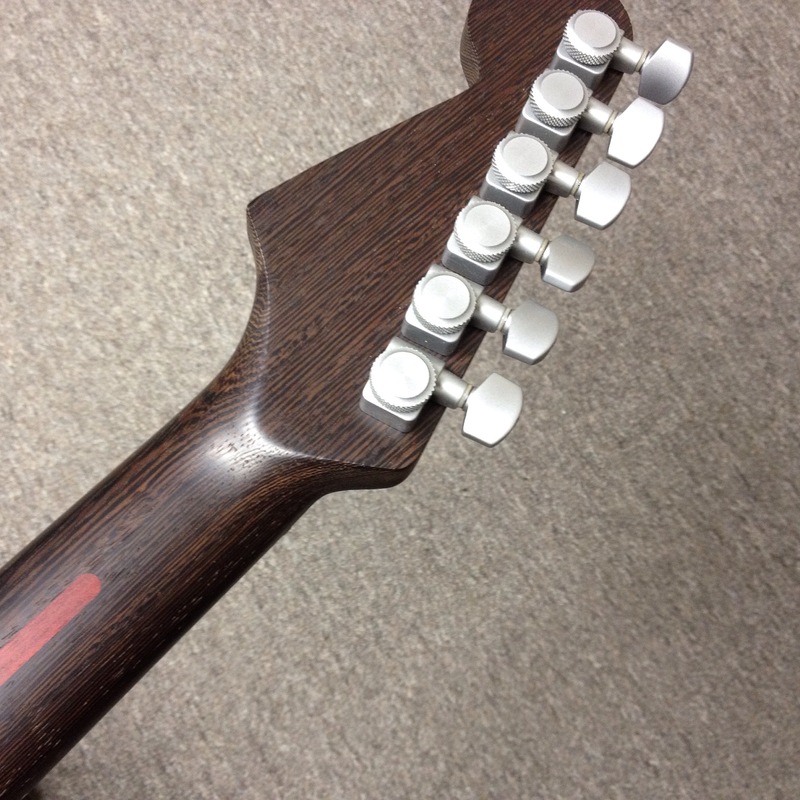 Gotoh SGL510Z Height Adjust x Mag Lok. Retrospec/Historic Makeovers Nitrate guard.. Don't make it anymore. 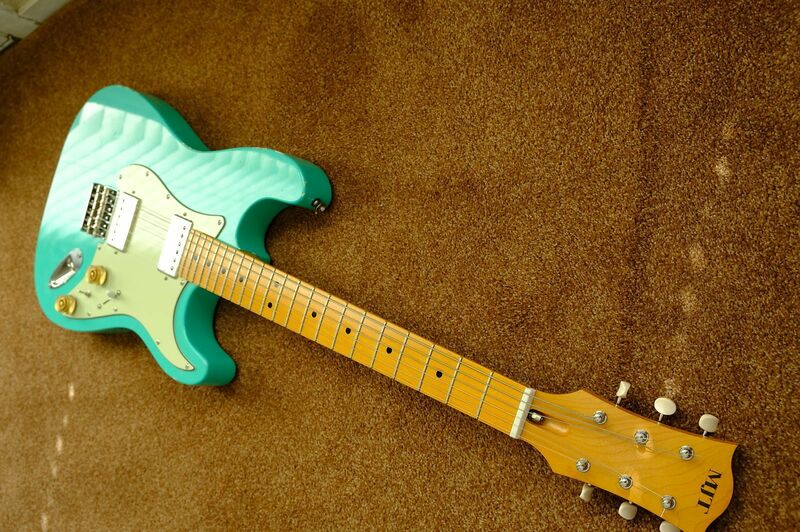 Love the Fullerton Curved bodies. rauchman, stanshall, Pablo and 1 other person like this. I've got a couple Warmoths I really love, but I also like to buy other people's ebay mistakes and make them into MY mistakes. gerg6, rauchman, stanshall and 4 others like this. I certainly wish I still had them all. gerg6, rauchman, stanshall and 10 others like this. 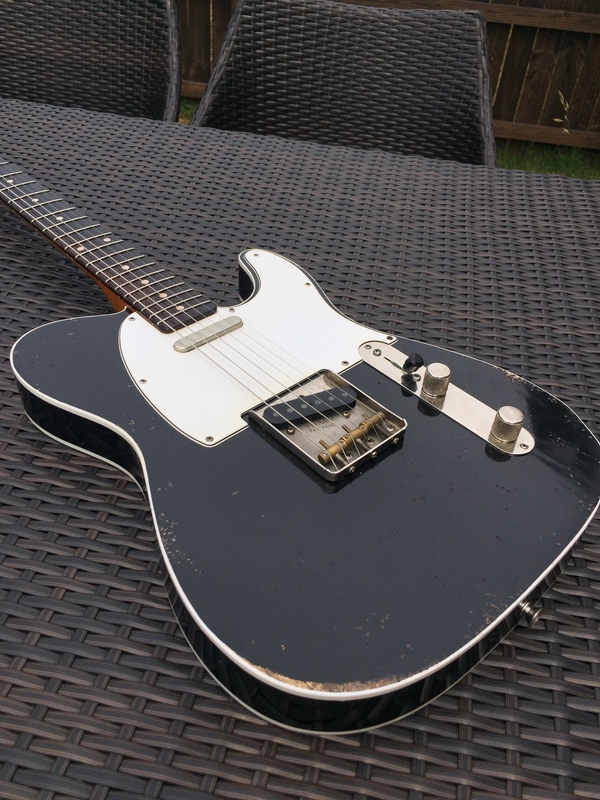 Particularly a warmoth maple neck / ebony board ash tele with a glaser b bender. stanshall, Agramal and Pablo like this. 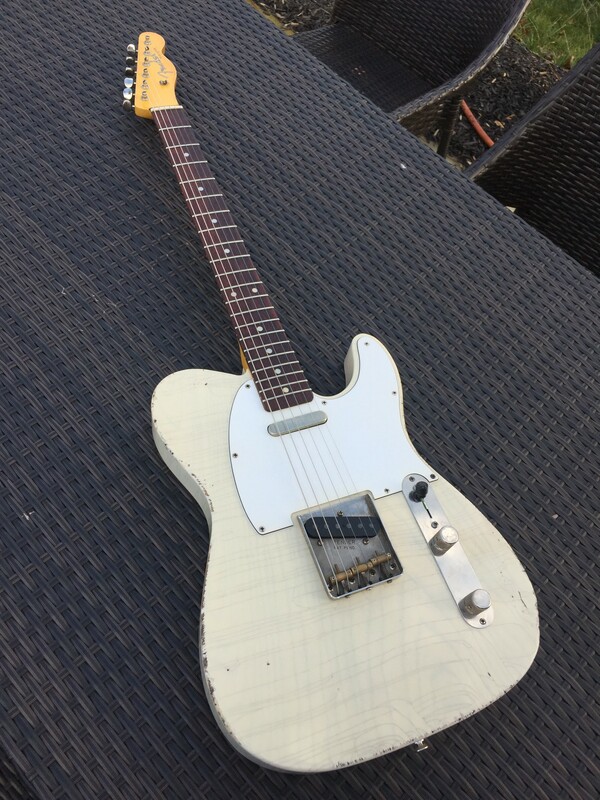 Warmoth Tele chambered body with Seymour Duncan Strat in a humbucker pickups. 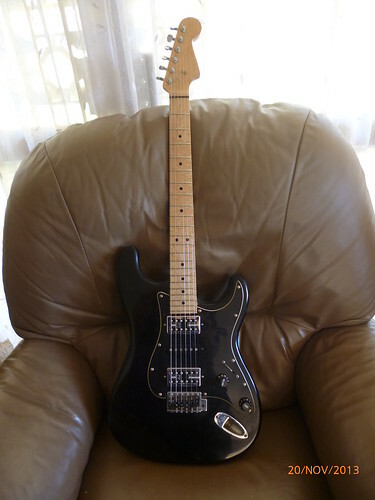 Other is a Warmoth Slab strat. Both excellent guitars. rauchman, stanshall, westmike and 1 other person like this. 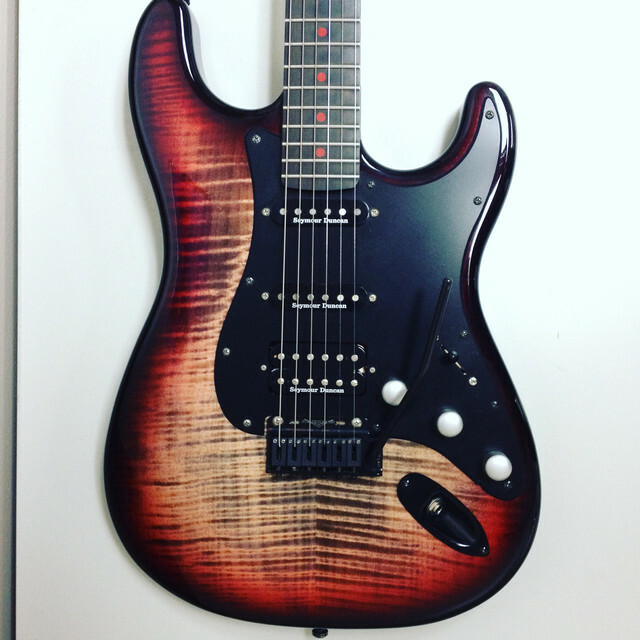 Strat is Warmoth 7/8 size, chambered alder. 24" Roasted maple neck in my preferred shape and size with stainless steel frets. 6.8 lbs. 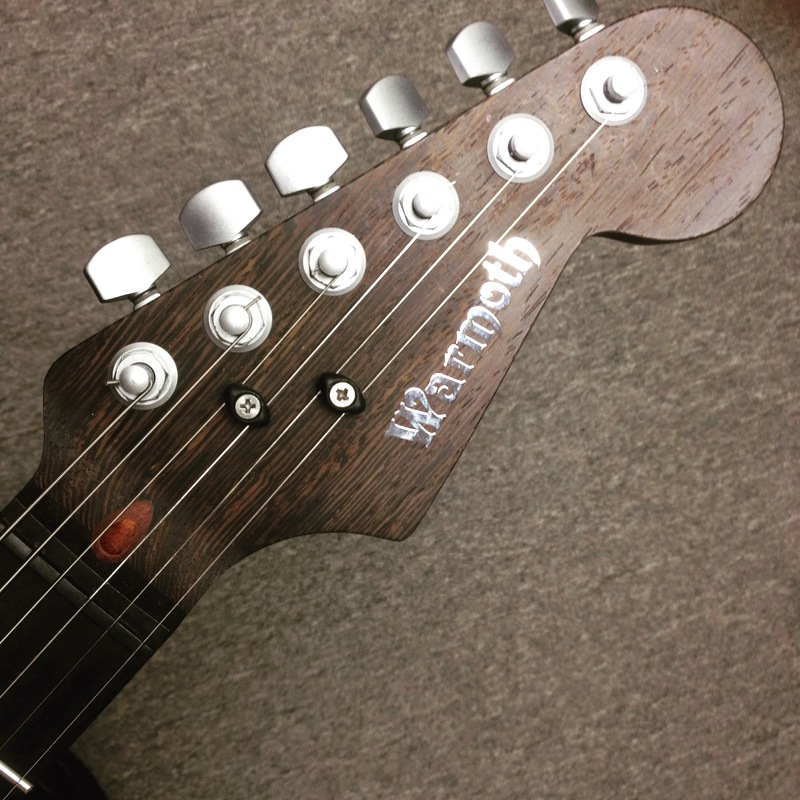 Mustang is Warmoth swamp ash with Toronado string through bridge. 24" maple neck in my preferred shape and size with stainless steel frets. 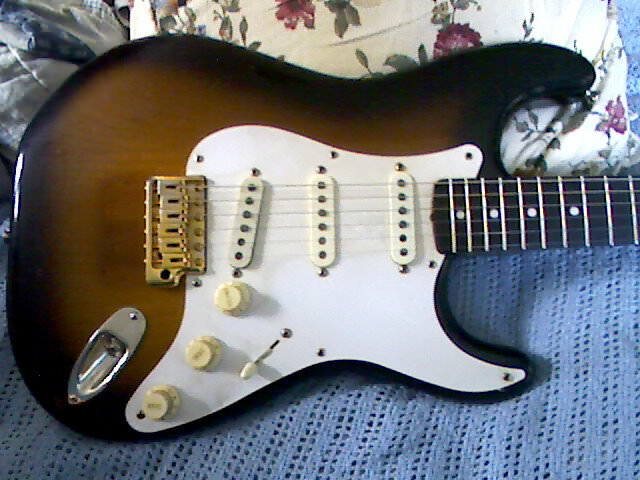 Dimarzio 36th anniversary neck pickup in the bridge and an EJ Custom bridge pickup in the neck. These two are pretty much all I play now. My GAS has passed. hudpucker and rauchman like this. 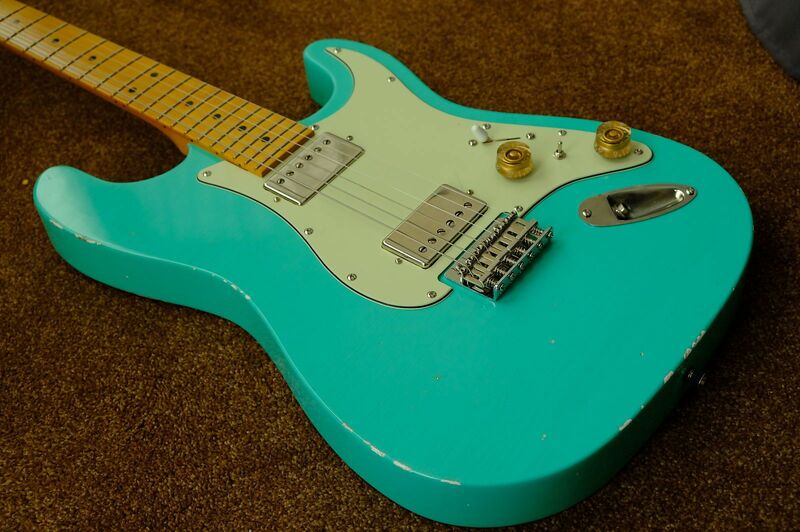 sorta OT but isn't a Suhr(insert another insanely expensive luxe brand name here) essentially a "partscaster" ? Just finished this baby. 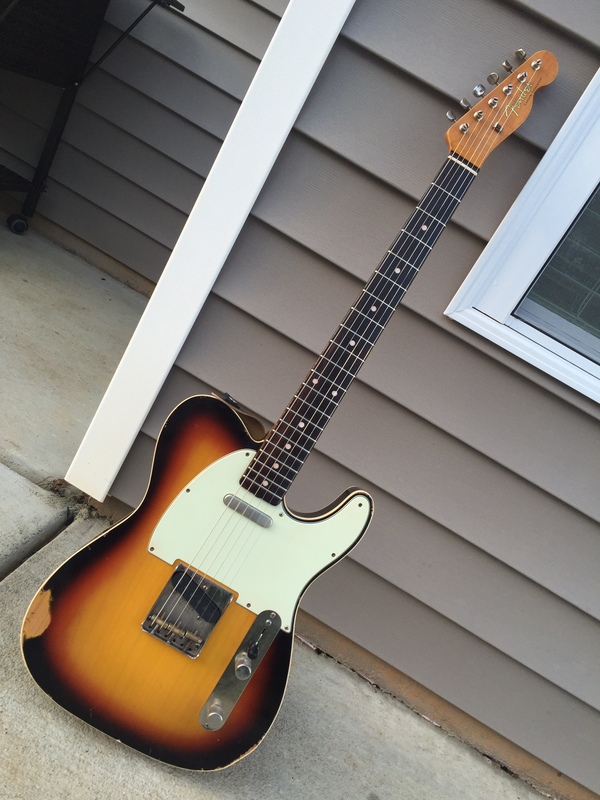 MJT body/warmoth neck. 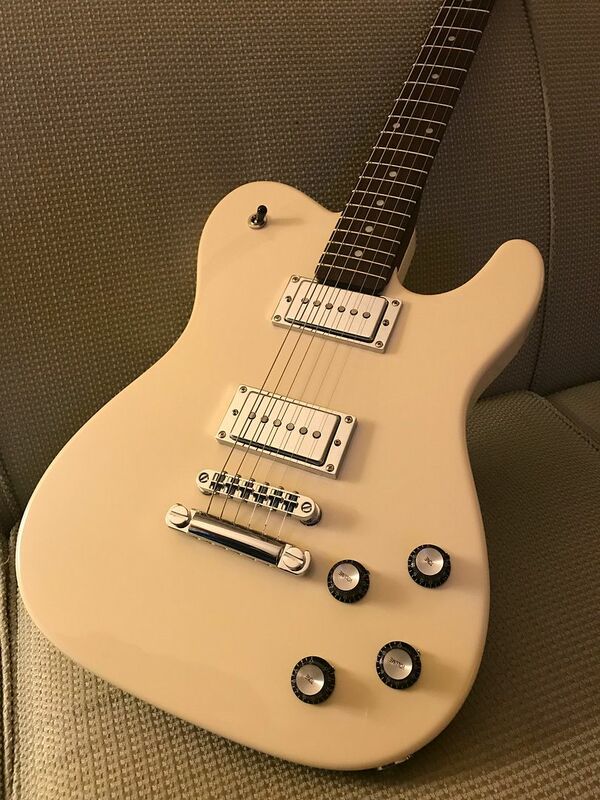 Dimarzio Titan bridge and a couple dimarzio noiseless singles. stanshall and sahhas like this. Not in our case, far from it. gerg6, Hamer95USA, Pablo and 1 other person like this. 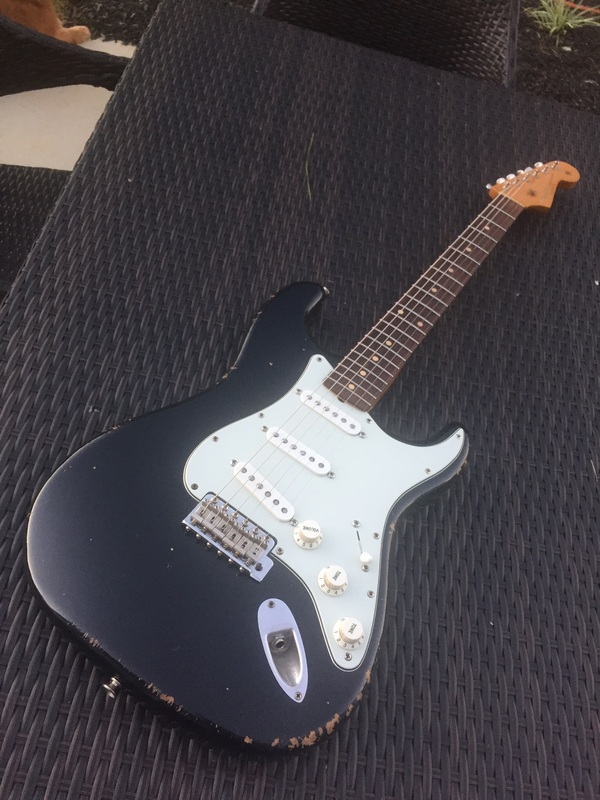 Have a Strat that started life as a classic player 60’s Strat. I decided I wasn’t big on the 12” radius neck so I grabbed a Warmoth replacement. 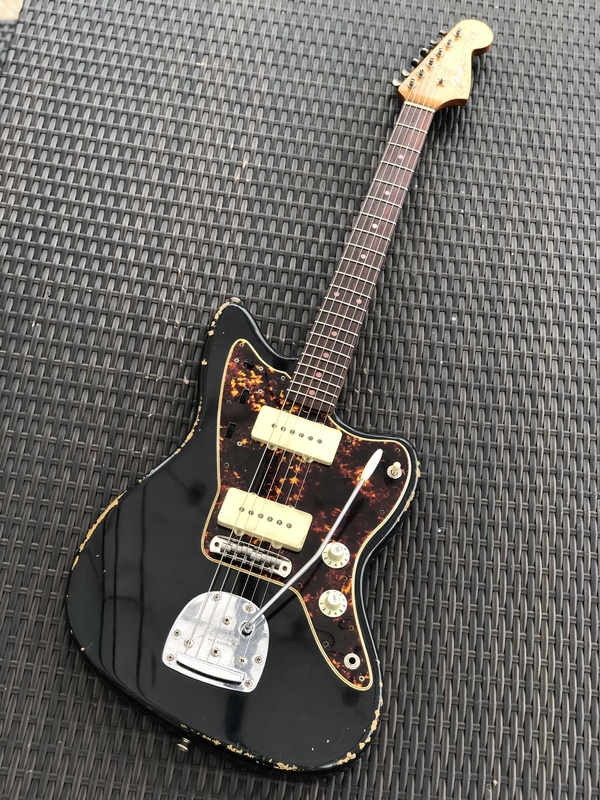 While waiting for the neck I realized I only liked the neck CS 69 pickup so I replaced the pickups and all the wiring with a 920 blender pot harness and Klein Jazzy Cats. Most people would laugh at dumping that much into a MIM but that Sonic Blue just looked too good to sell. 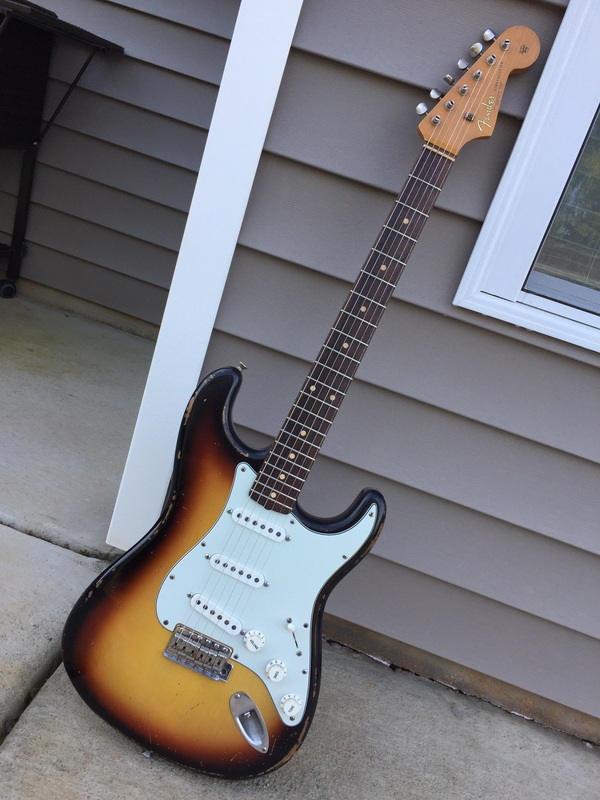 It looks even better now with the vintage tint neck with dark Indian rosewood fretboard. Party, the fiesta red partscaster. 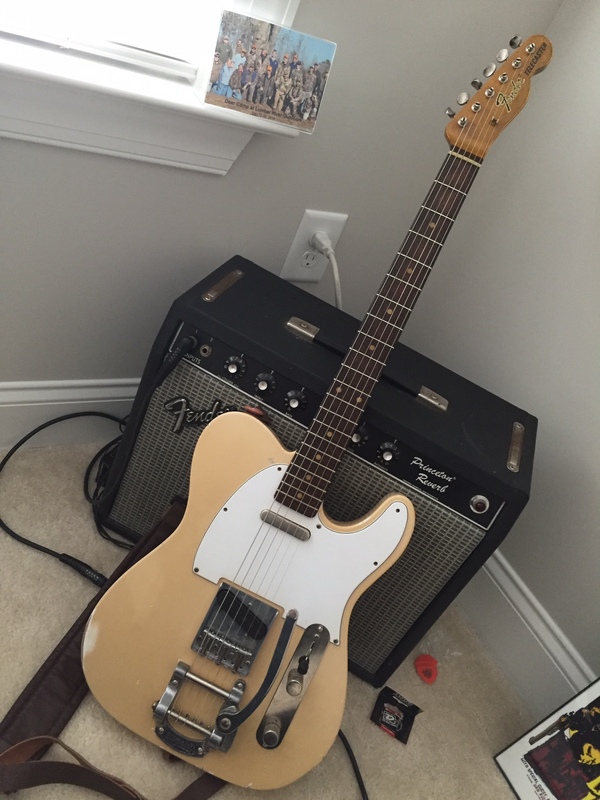 It's my go to passive guitar. Super 5 way (HooP and series), many sounds! All random parts from everywhere. 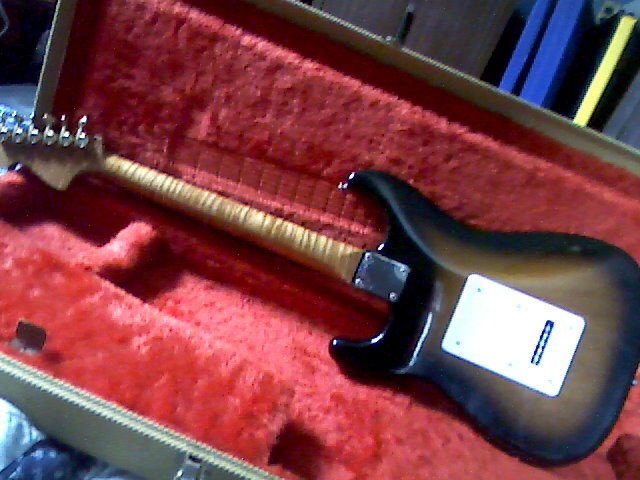 My passive P bass for flats is a Squier Classic Vibe '51 P neck, Dirnt body, Schaller bridge, Fender pickup... 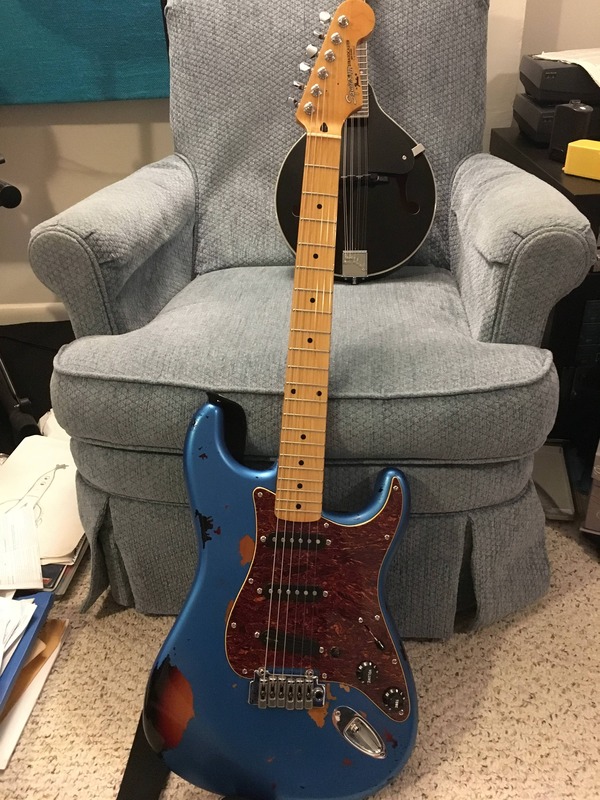 This is the culmination (and the longest running combination) of 2 different necks, two bridges, 2 pickups and two pickguards. rauchman, stanshall and sahhas like this. This is a Warmoth Pro birdseye/birdseye neck on a cheap junker body. - I'm not very interested in bodies. 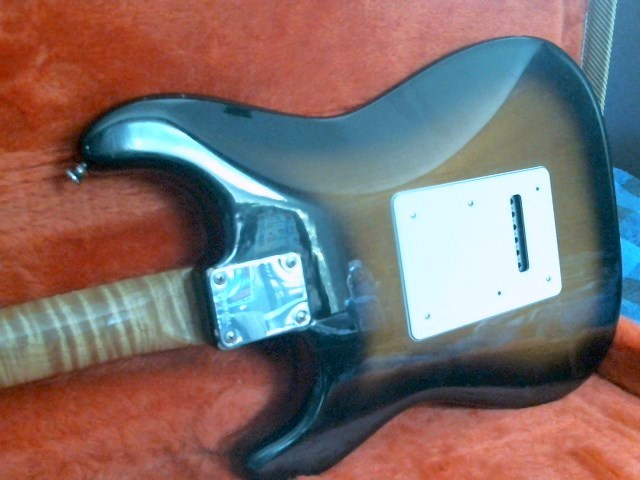 Since taking that pic I have converted it to HSS, still with a black pickguard. Three of my other four electrics are also modded in some way. rauchman and Pablo like this. I prefer scalloped fretboards and prefer 22 frets, hence my readily available options are really non-existant. Roe, rauchman, stanshall and 1 other person like this.